Bill Schlinkert has a broad-based business and tax practice emphasizing corporate, partnership, real estate, and foreign investment matters. He served as chairman of the firm from 1997-2005, as well as previously chairing the Commercial Department and Tax Practice Group. 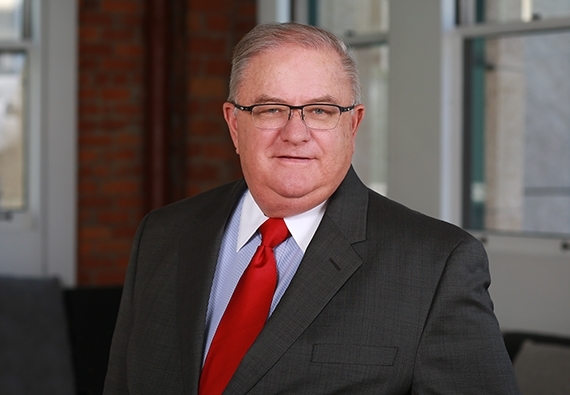 Bill has extensive experience in corporate purchases and sales, joint venture formations, real estate acquisitions and exchanges, and both inbound and outbound foreign investments. He has represented numerous companies, both private and public, in matters related to a myriad of corporate combinations and divisions. For his real estate clients, he has provided counsel on a wide array of tax and business concerns, including the formation of large real estate investment funds and the intricacies of REIT operations. Working with hotel clients from Hong Kong, Japan, Monaco, and the Middle East, he has established acquisition and management structures for hotel purchases both in the United States and in Europe. As a member of the firm's wine industry team, he has also been intimately involved in structuring vineyard investments for Canadian, German, Spanish, Middle Eastern, and South American investors. Thanks in no small measure to his tenure at the helm of Farella, Bill brings a unique and strikingly effective business perspective to the counsel he provides clients. More specifically, he combines technical expertise, creativity, and practicality. He puts his work into a relevant, meaningful business framework, with a strong emphasis on risk assessment. He gauges legal work against the client’s exposure and risk, performing a cost/benefit analysis that drives practical, creative analysis that solves difficult problems. Clients come to Bill not to simply determine the answer to a question, but to also determine the risks and benefits of a particular course of intended action, and alternatives. Based on decades of both advising and operating a business, Bill’s counsel delivers effective, specific, and actionable recommendations with a grounding in the real world of business. Expertise that matters, creativity that counts. A trusted, dedicated advisor for all your tax and business planning needs.